For accurately checking height and sideways rotation. 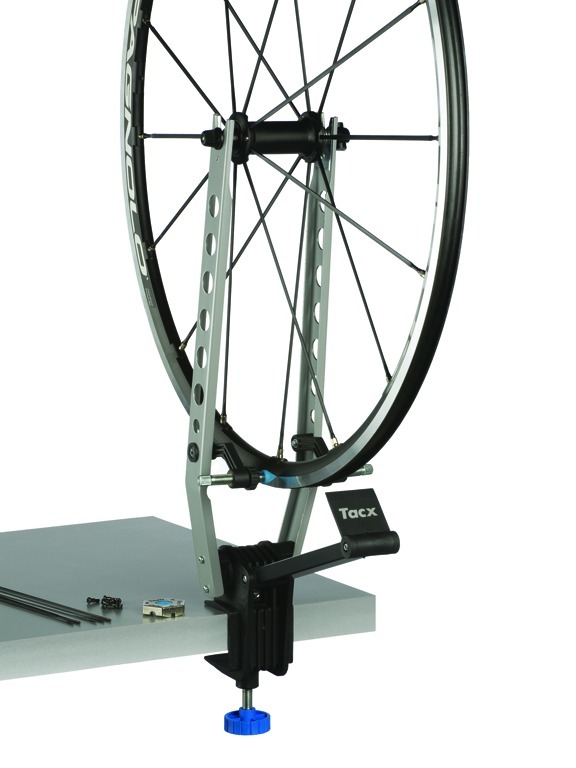 The wheel holders can be tilted forwards or backwards, so that the truing stand can be placed in any desired position. Fits on working surfaces with thickness between 2 and 5 cm and is suitable for wheels from 16 to 28 inches.